Key Indicators for target 5.5. are the proportion of seats held by women in national parliaments and local governments (Indicator 5.5.1), and the proportion of women in managerial positions (Indicator 5.5.2). 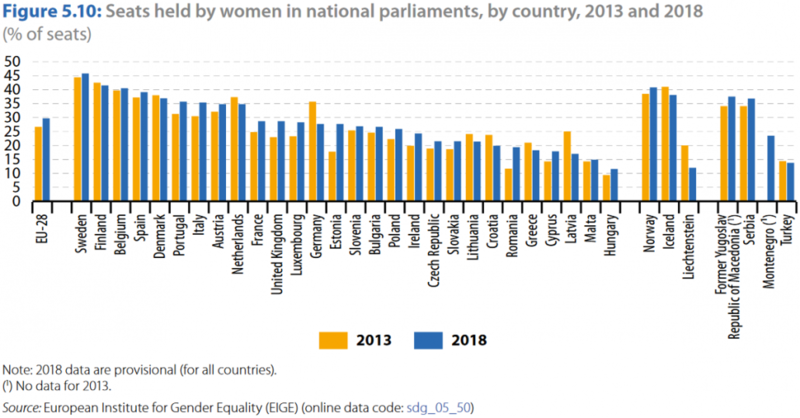 According to the European Institute for Gender Equality, women held 28.9 % of seats in national parliaments in the second quarter of 2017, and this share increases steadily. The percentage in Austria is even beyond 30%. However, Croatian figures show a substantial decrease from 2012 to 2017, and the country is now in 22nd place among the 28 EU members. 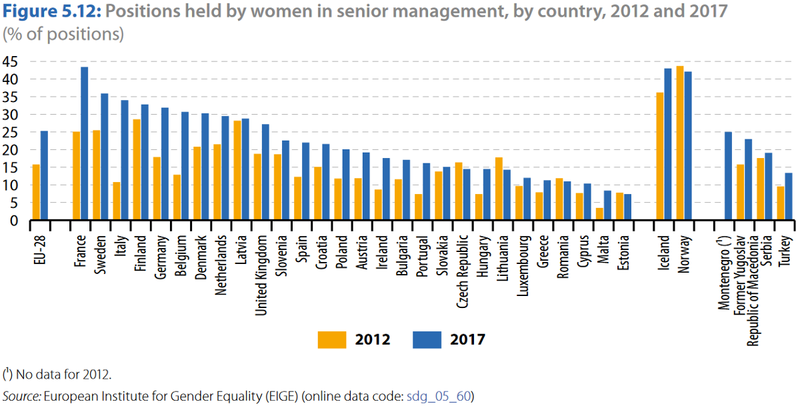 The share of women in boards of the largest listed companies within the European Union was 24.6 % in 2017. In the years between 2003 and 2017, there was an almost steady increase of a total of 16.1 percentage points. Austria and Croatia have also improved substantially during this period, but are still below the EU-average. If not only the board members but also the members of the second highest decision-making body are taken into account, the situation is even worse: In Austria, women accounted for only 5.5 %. Our company has been established by men only, and is now led by a quite balanced team of women and men or, in Croatia, mostly by women. We support co-ownership and encourage our – mostly female – employees to become partners. Proactively recruiting and appointing women to managerial and executive positions and to the corporate board of directors. Ensuring access to business resources and opportunities, including training and implementing monitoring mechanisms. Encouraging suppliers and business partners to adopt similar policies. Ensuring all workers – women and men have an equal voice in workplace, including through adequate grievance mechanisms. Investing in female leadership programs, to help enable women to progress in their careers, and expand and develop their leadership skills.